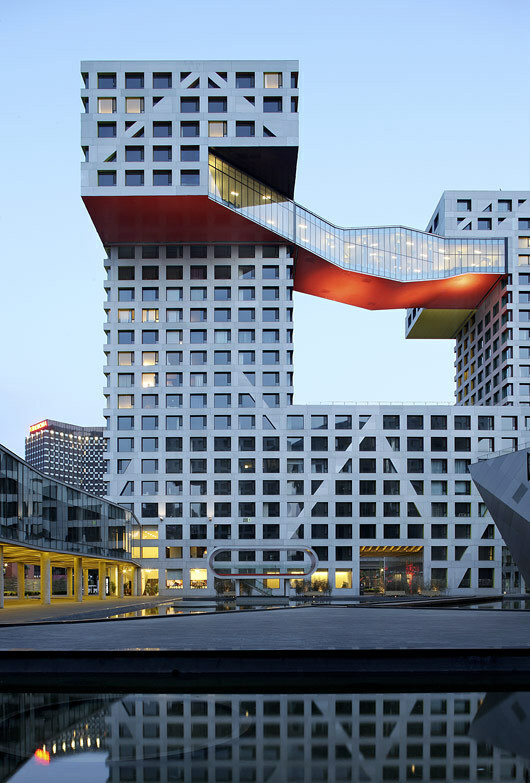 Holl's "Linked Hybrid" Awarded 2009 "Best Tall Building"
The Council on Tall Buildings and Urban Habitat (CTBUH) has named Steven Holl Architectsâ€™ recently completed Linked Hybrid complex in Beijing the recipient of the â€œBest Tall Buildingâ€ in Asia and Australia award. Annually, the CTBUH recognizes one outstanding tall building from each of four geographical regions: Americas, Asia and Australia, Europe, and Middle East and Africa. The â€œBest Tall Building Overallâ€ will be selected from among these four recipients at the Awards Dinner on October 23 during the CTBUH 2009 Chicago Conference. Recipients must possess seamless integration of architectural form, structure, and building systems, as well as exhibit sustainable design qualities working to preserve the quality of urban life. 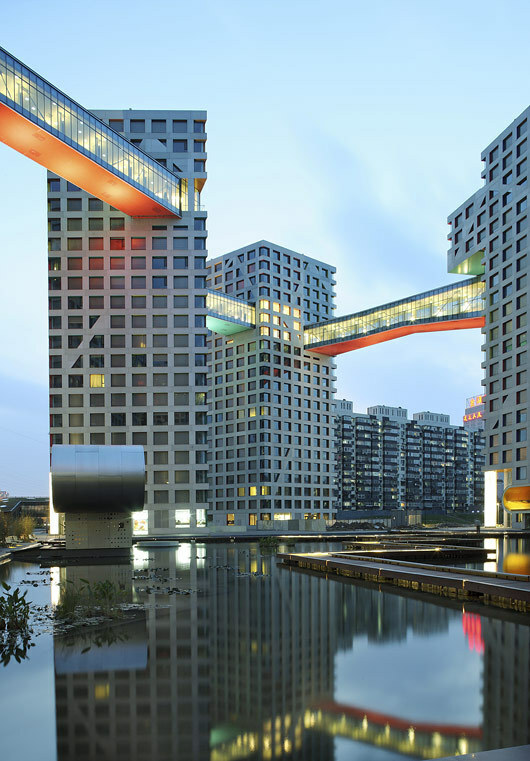 The 220,000 square-meter Linked Hybrid complex includes eight towers linked by a ring of eight sky bridges housing a variety of public functions. The complex is located adjacent to the former city perimeter of Beijing. 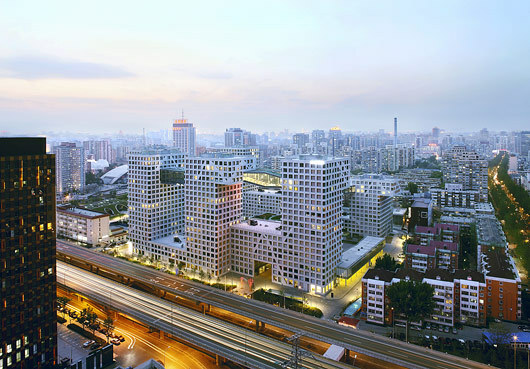 To counter current urban development trends in China, the complex forms a new twenty-first century porous urban space, inviting and open to the public from every side. In addition to more than 750 apartments, the complex includes public, commercial, and recreational facilities as well as a hotel and school. With sitelines around, over, and through multifaceted spatial layers, this â€œcity within a cityâ€ has as one of its central aims the concept of public space within an urban environment, and can support all the activities and programs for the daily lives of over 2500 inhabitants.